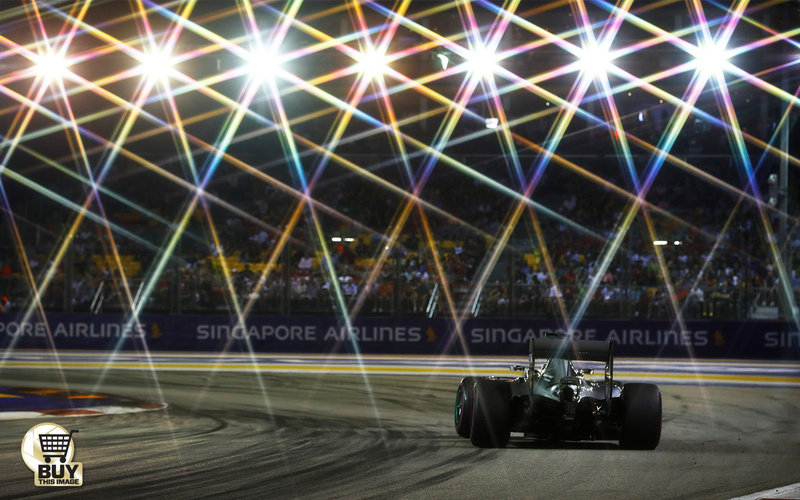 Singapore is always a glitzy and atmospheric event, a breathtaking spectacle of sliding cars between the night-time floodlit walls, 900 horsepower, degrading grip, rubber marbles waiting menacingly off line. But the actual structure of the race was looking fairly routine, a comfortable Nico Rosberg victory, chased valiantly but not threateningly by the Red Bull of that Singapore ace Daniel Ricciardo, the two-stop strategies having played out without the difference in tyre choices between them amounting to much. But then Mercedes inadvertently put itself under massive pressure by switching its other car, that of Lewis Hamilton, to a three-stop strategy in a last throw of the dice to retake third from Kimi Räikkönen’s Ferrari. And the race came alive. Hamilton’s stop triggered a domino effect as Ferrari responded to it with Kimi, Red Bull responded to Räikkönen’s – this in turn forcing Mercedes to prepare to bring Rosberg in to defend against Ricciardo from possibly using his new tyres to more than make up the pit stop loss over the old-tyred race leader. But a combination of a stunning out-lap from Ricciardo and Rosberg hitting traffic on what was going to be his in-lap forced Mercedes to leave him out, for to have pitted was certain to have lost them the lead and probably the victory. So instead the last 14 laps played out with a rousing chase, Ricciardo on barely used super-softs hunting down Rosberg on much older and harder compound tyres; tension and thrill interspersed, each marshalling their finite resources differently, trying to judge how much and when to give out, when to conserve, Mercedes accepting Rosberg was going to be caught but guiding him, particularly in the usage of his very marginal brakes. This track, Montreal and Mexico City are the toughest on the calendar for brakes and define the maximum cooling capacity for the brake ducts (which cost aerodynamic performance and which designers therefore want to miniaturise as far as possible at the car’s conception stage). If you figure you are going to be running out front, you might conceive even smaller ducts, knowing you’ll be in clean air for much of the time and also with less need to use them so hard. 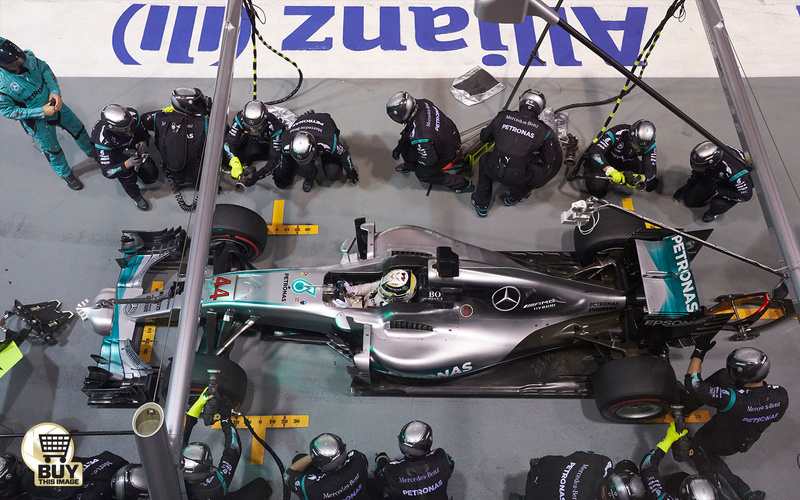 Right there is defined the small ducting of the Mercedes, even at maximum capacity. So both Rosberg and Hamilton were hard up against that limit from very early in the race and for most of the rest of the evening. That too played its part in the shape of the race, for if Hamilton had not had to back off so much, he’d not have been passed in the second stint by Räikkönen (in a Ferrari with massive front brake ducts), Merc wouldn’t have thrown the strategy dice – and the dominoes wouldn’t have fallen. That’s how delicately poised it was around a track that punishes brakes, doesn’t reward power or downforce as much as other tracks but massively rewards any advantage in tyre grip. Hamilton, trying to run a different set-up to Rosberg but losing much of his running time and therefore not discovering it didn’t really work until it was too late, had an untypically quiet weekend, never as confident between the walls as Rosberg who, relieved of the pressure of Hamilton comparison, seemed to step into a higher gear. It was all Hamilton could do to use the undercut to scrape back in front of Räikkönen for third. Amid all this intrigue, it was easy to overlook a fantastic drive from last to fifth by Sebastian Vettel. 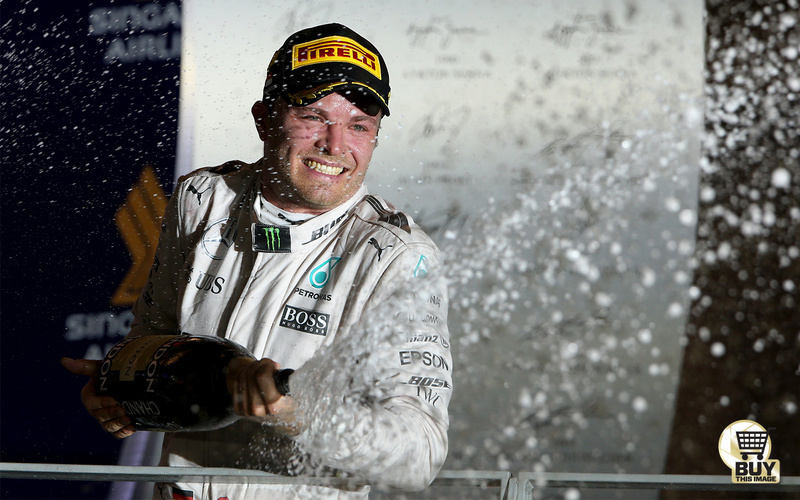 “That was one of the top three best laps I’ve ever done,” said Nico Rosberg of his resounding pole position. Team-mate Lewis Hamilton, lacking track time after a litany of practice problems, just wasn’t in the groove and never looked like challenging Rosberg’s in-team dominance. A full seven-tenths slower, it was enough of a gap that Daniel Ricciardo – always brilliant around here – was able to slot his Red Bull in between them. 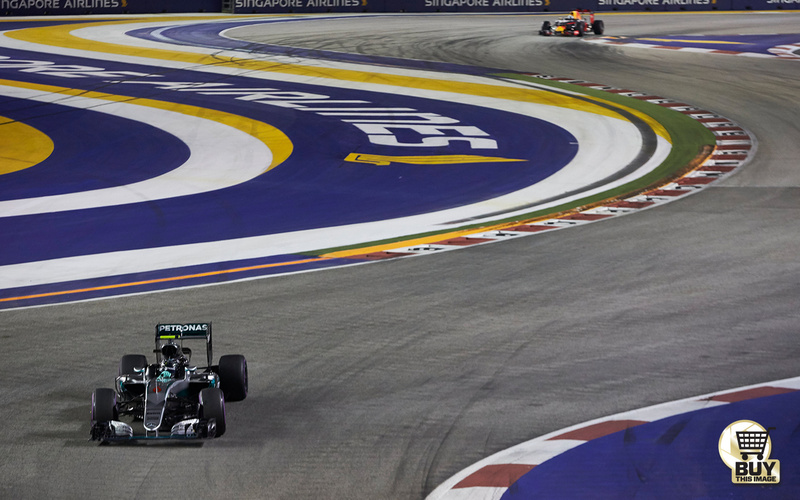 It was a relief for Mercedes to have exorcised the ghost of its dramatic loss of form at Singapore last year. 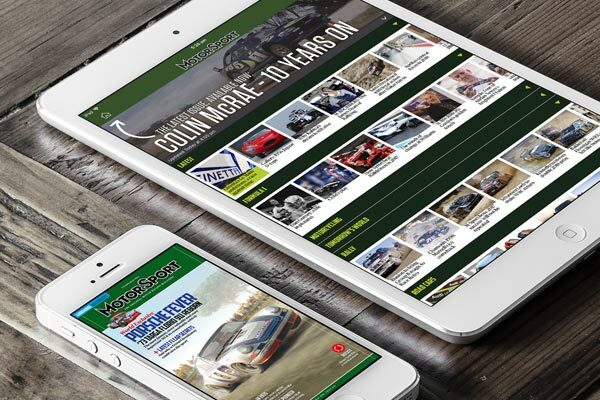 There was never any suggestion this time of not getting the rubber into the right temperature window – though it was aided in this by a less extreme pressure ruling from Pirelli on the crucial rear tyres. This year, from Saturday onwards, they were down to 16.5s psi rear, 1psi down on last year (though the fronts were actually running higher). The Red Bull was a match for the Mercedes through the sequence of right-angle twists of the final sector – where Ricciardo was a couple of hundredths faster than Rosberg – but lost most of its time to the Merc through the extended acceleration zones of the middle sector. It was noticeable that the Red Bull needed a much more aggressive out-lap than the Mercedes to get the tyres up to temperature by the start of the lap. Both Red Bull drivers had completed Q2 on the super-soft tyres, with everyone else on the ultra-softs. It had been the game plan all along and the team was surprised that no one else tried it. It allowed them to start the race on what in theory was a more durable tyre. But on Friday afternoon, Rosberg’s run suggested that the ultra-soft had comparable range, so thereby perhaps swaying Mercedes away from that choice. Hamilton had suffered a front suspension problem and a hydraulic leak on Friday, severely limiting his track time. The car had been fettled by Saturday, but it had thrown Hamilton off his game around this place where confidence is crucial. “Just didn't really get many good laps, and have not been able to string them together,” he summarised. Both his Q3 laps included errors, running wide over the turn one exit kerbs and having a bit of a moment at turn seven too. He’d gone for a rather different set-up to that of Rosberg, trying to take fuller advantage of the ride height control given by the car’s huge front heave spring by running it low. 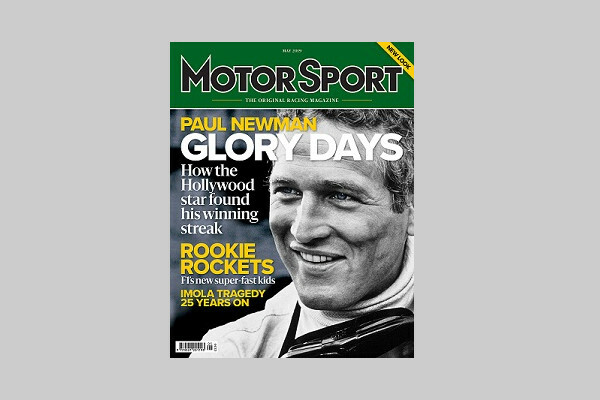 But, rather like in Baku, in combination with his late and heavy braking style, it was giving him lock-ups over the bumps and understeer. 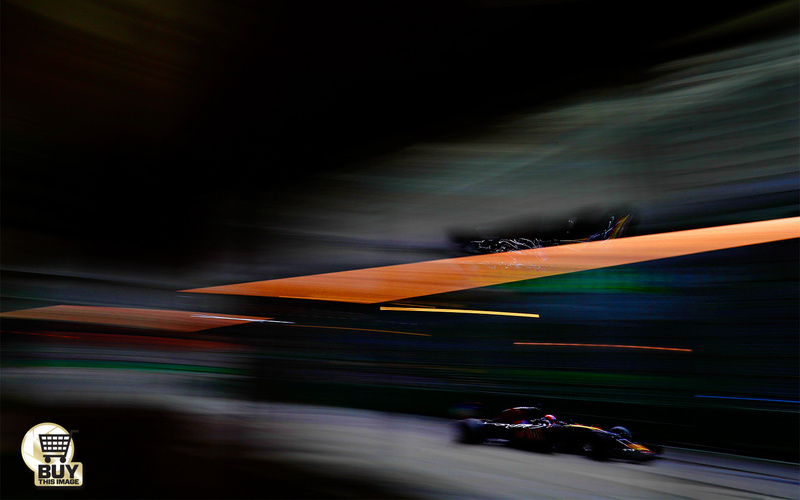 Max Verstappen qualified his Red Bull fourth, a couple of tenths shy of Ricciardo. His aggressive style never looked quite as effective as Ricciardo’s flow through the faster corners and his way of overlapping braking and cornering was, just as in Monza, causing the car to ‘under-rotate’ on corner entry. He was looking in vain for set-up adjustments to cure the trait. Kimi Räikkönen was Ferrari’s sole Q3 representative as Sebastian Vettel’s rear roll bar link broke on the first corner of his first qualifying lap, this in turn damaging a suspension rocker, leaving him last. An idea of the load this component absorbs could be gained from observing its inner front wheel waving around with around six inches of daylight beneath it. Räikkönen reckoned he was a “bit over the limit” on his final Q3 lap as he tried to squeeze more from the car than it had to give in trying to match the Red Bulls. He was fifth, around 0.4s adrift of Ricciardo, but driving with the reinvigorated spirit of recent races and beautifully precise. 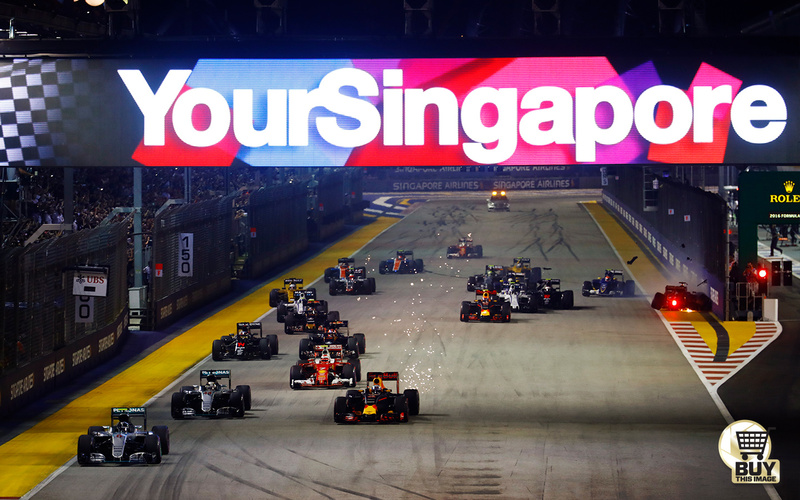 It would have been interesting to have seen how he compared with Singapore ace Vettel. There was a big gap behind the Mercedes/Red Bull/Ferrari group but it was headed by Carlos Sainz’s Toro Rosso, the car’s power deficit not such a significant factor around here than at more conventional tracks. Generally unnoticed, Sainz had done a fantastic lap on super-softs in Q1 (0.3s off Hamilton’s ultra time and 1.1s faster than team-mate Daniil Kvyat’s ultra time on a tyre reckoned to be significantly slower) to get through on the slower super-soft tyre, allowing him more ultra-softs in Q2 and Q3. Kvyat was just under three-tenths slower than Sainz in Q3, but that still put him just one place behind on the grid. The Russian just aced ahead of the first of the Force Indias that sandwiched Fernando Alonso’s McLaren. Nico Hülkenberg was marginally the quicker of the Force Indias, though was fortunate to get through to Q3 after being sent out too late to get his planned final lap in. Only Jenson Button’s snagging of the turn 14 wall – which damaged the McLaren’s steering and punctured a tyre – gave Hülkenberg a reprieve. The yellow flags were waving for this incident as Pérez came past to complete his Q2 lap and in the process overtook Esteban Gutiérrez’s Haas. He was given an eight-place grid penalty for this. The McLarens were initially lacking in rear grip and in this form Button was nowhere near the more aggressive Alonso. 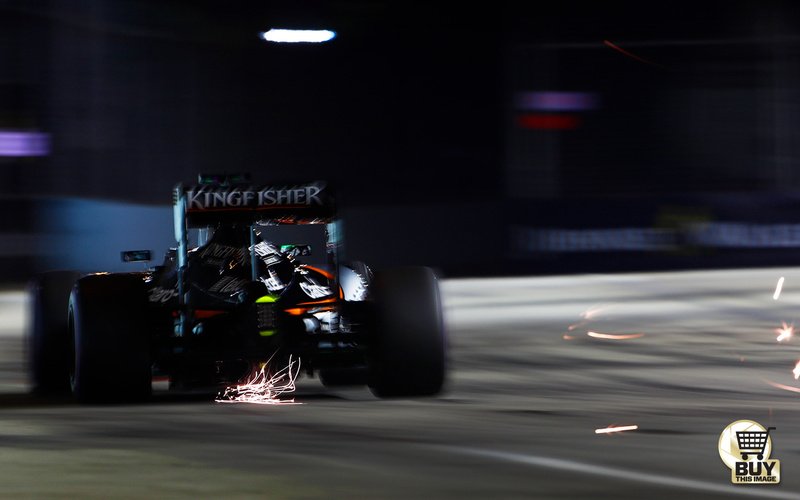 With a set-up that tamed its waywardness into qualifying, Jenson was suddenly a much closer match. But his error left him 13th, 12th after the Pérez penalty. Eleventh fastest Valtteri Bottas could feel hard done by not making Q3 as Pérez’s penalty for his Q2 offence was only applied retrospectively. But generally the Williams was not performing well, the team finding its sweet spot between looking after its tyres and generating good one lap pace very narrow. Felipe Massa was in similar difficulties, a couple of tenths off and one place behind. Gutiérrez was the faster of the Haas drivers in 14th as Romain Grosjean got himself into all sorts of difficulties, convinced something was amiss with the car. Having crashed it on Friday, he found himself slower than Gutiérrez after the first Q2 laps and for the second run resolved to “give it 200%” on his subsequent lap. That put him hard into the turn seven barriers as the rear simply refused to even contemplate going in at the speed he was trying for. Admitting his confidence was at a low, he lined up a place behind Gutiérrez a couple of tenths off. A five-place grid penalty for a new gearbox to replace the one he’d smashed didn’t help his mood. Vettel’s problems allowed Marcus Ericsson to graduate his Sauber to Q2 where he lined up 16th. This was the first time the updated aero package had been run in high downforce trim and it appeared to have vaulted the car ahead of the Renaults. Kevin Magnussen was marginally faster than Felipe Nasr’s Sauber and team-mate Jolyon Palmer but failed to make Q2. The Manors were a real handful and anchored solidly at the back, Pascal Wehrlein over half-a-second faster than Esteban Ocon. Eight o'clock in the evening, the sunlight’s gone but the humid heat remains. The temperature’s even higher in the Haas garage as Grosjean is told his brake-by-wire failure cannot be fixed and he’s a non-starter. Clutch performance is a black art as partly automated systems are built around something as imperfect and inconsistent as the friction co-efficient of a clutch plate, something that’s hurt the Mercedes drivers so many times this year. Would all Rosberg’s brilliant Saturday work be blown within a few seconds of the gantry lights going out? No. His start was a thing of perfection, transferring the Merc’s prodigious power to the rear wheels with the ideal combination of slip. Ricciardo’s alongside was equally good but the track’s not quite as grippy on that side, his super-softs not quite as sticky as the ultra-softs of Rosberg, his Renault engine not quite as powerful as Rosberg’s Mercedes and the pair remained in grid formation as they rushed up to the first turn. There was a clutch issue on the grid though – and it created quite a drama. Red Bull had taken Verstappen’s clutch out for inspection on Sunday morning after it had misbehaved the day before. Though they’d found nothing amiss then, on the grid it did it again – delivered way too suddenly, the Red Bull’s rear tyres spinning madly. Hamilton, Räikkönen and Alonso were almost instantly past but, unsighted, Hülkenberg veered out late to steer around the Red Bull to the right – just as Sainz was moving left. They snagged and the Force India spun across Verstappen’s bows and nose-butted the pit wall hard. Safety car. In a queue behind it were Rosberg, Ricciardo, Hamilton, Räikkönen, Alonso, Kvyat, Sainz (with flapping bodywork from the Hülkenberg contact), Verstappen, Massa and a fast-starting Magnussen. Bottas and Button had made contact at the first corner, puncturing the Williams’ left-rear tyre and damaging the McLaren’s nose. They’d each stop for replacements at the end of the lap and their afternoons never really recovered from there, each retiring later with unrelated technical issues. That drama aside, all seemed straightforward now for Rosberg. On ultra-softs that may not have been quite as durable as the super-softs on Ricciardo’s car but that came up to temperature more quickly (a function of the respective cars more than the compounds), he sprinted easily away, 2.1-seconds clear at the end of the first racing lap. All he had to do now was monitor that gap and keep out of undercut range as the first stops approached from around lap 13-14. Sainz was given the black and orange flag for the Toro Rosso’s flapping bodywork and came in to have it removed on the seventh lap. Such an early stop lost him a lot of ground that he wouldn’t properly recover, especially when he became further handicapped by an ers problem. It was a huge disappointment for him after his starring qualifying performance. From as early as lap seven Rosberg was being warned about brake temperatures. Get the carbon discs past a certain threshold of heat and they begin to oxidise away into thin air and you’ll not finish the race. He’d just stepped up his pace by 0.7s, trying to ensure he was out of Ricciardo’s undercut range, when he first received the warning. He went even faster next lap – and was warned by his engineer that the request about the brakes was serious. Hamilton was being given much the same warning, though already he was trailing over two-seconds behind Ricciardo, the understeer still there, and only just holding his own against Räikkönen’s following Ferrari. Alonso was ever-distant from there, a slow car in a falsely high position soon with a big queue behind it. What this did was more quickly open up a gap for the leading quartet to be able to drop into, so allowing earlier feasible first stops. Verstappen, unable to pierce Kvyat’s robust defence of sixth place, and frustrated at the Alonso-dictated pace, had quickly burned through his tyres and was brought in earlier than ideal, on the 13th lap – bringing him out way back, behind Pascal Wehrlein’s Manor. This was three places behind Vettel’s Ferrari. Starting on the hardest of the three compounds (the soft), Seb had cleanly picked off the Manors, Palmer’s Renault and Felipe Nasr’s Sauber and benefitted from the delays of others. It was the foundation of a great drive. He was stuck, for now, behind Pérez’s Force India (also on softs) but would undercut his way ahead of it – using the brand new ultras he’d saved by not doing a qualifying lap - and continue his progress from there. By the 14th lap Ricciardo was trailing Rosberg by more than seven seconds, no undercut threat to the leader and in no undercut danger from the distant Hamilton. But Red Bull’s strategists, thinking ahead, reckoned on bringing him in before Rosberg. Ricciardo’s pace on his (scrubbed) super-softs would be greater than Rosberg on old tyres could do and before the gap between them became too small Mercedes would need to bring Nico in (on the next lap, as it happened) to retain track position. This, in turn, would necessarily lengthen Rosberg’s next stint, possibly giving Red Bull another bite at the cherry as it fancied it might be stronger at the end of the stints. Mercedes was unconcerned. Hamilton was brought in the same lap as Ricciardo, Rosberg the lap after and both were fitted with the most durable compound – the soft. That had always been the plan at Mercedes: a two-stop with stints on ultra/soft/soft, using track position to allow the most durable, least risky, choice of tyre. They left Hamilton on this, reasoning that his fight was with Räikkönen and that Ricciardo was already pulling out of his reach. That choice clearly disappointed Lewis, who vented a little over the radio about it. 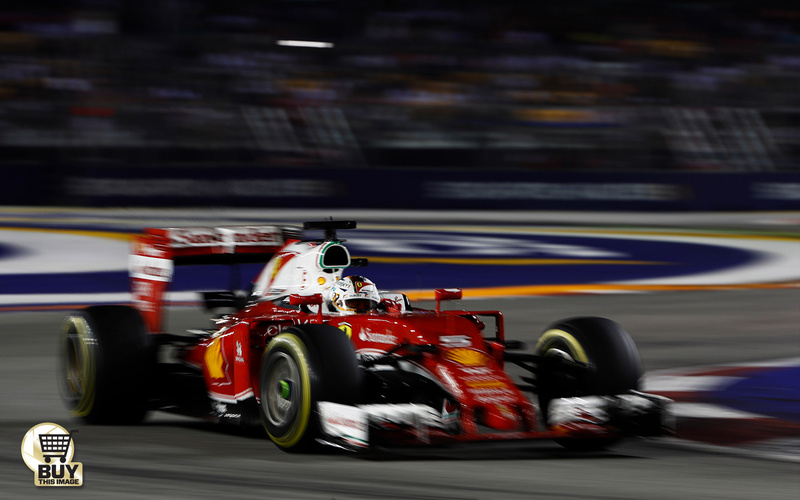 Ferrari – with Räikkönen under no threat from behind – decided to run him long (he came in on lap 17) to give him a racier subsequent stint. Already a very long way behind the lead quartet, Alonso still led the second pack, with Kyvat, Verstappen, Massa and Magnussen right behind, the latter driving a tenacious race for Renault. Massa observed that if he’d tried driving his Williams the way Verstappen ahead of him was driving his Red Bull, “my tyres would have been dead within three laps.” Three-stopping began to come onto the Williams radar. Kvyat and Verstappen continued to dice extremely closely, at one point light contact being made, but Kvyat was resolute: Max was not coming past. A couple of times Verstappen thought he’d made the pass up to turn seven but found himself bundled onto the run-off for his troubles. This was surely a very personal battle for Kvyat with the man who was the instrument of his demotion. Yet again, it was quickly using up Verstappen’s tyres. He would be forced to make his second stop a full 10 laps before Kvyat, effectively consigning him to a three-stop. Through this second stint Ricciardo used his softer tyres to make steady gains on Rosberg’s lead, which reduced from 6s to 3.8s between the 18th and 27th laps, while Räikkönen made up ground on Hamilton who continued to be hampered by his brake temperatures. 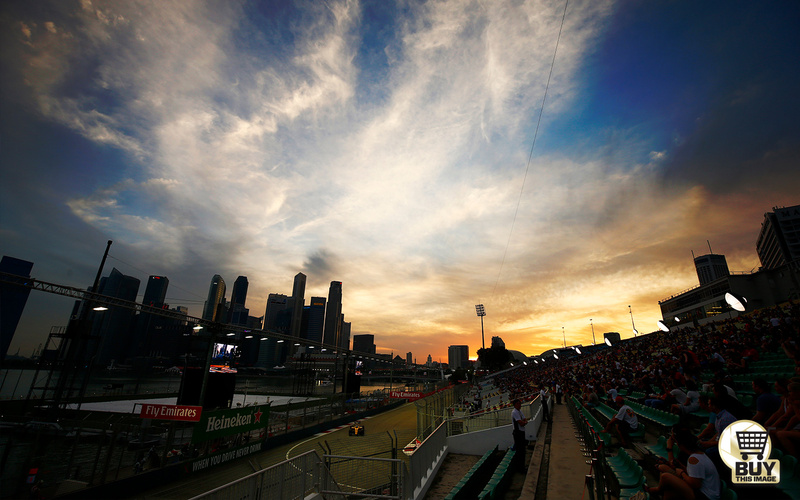 By the 26th lap the Ferrari was in his DRS range and taking a look up to turn seven at the end of Raffles Avenue. Hamilton held him off for now but seven laps later he locked up into there, compromising his line through the following sequence – thus allowing Räikkönen to finally nail a pass on him into turn 10. Ferrari immediately brought Räikkönen in to protect from a possible undercut Hamilton retaliation, Kimi switched to the softs with the intention of running to the end. Hamilton did likewise the following lap. Ricciardo’s charge upon Rosberg had come up short as his tyres began to surrender and they pitted around 4s apart on the 32nd lap, each fitted with the durable soft tyres in preparation for a long final stint. That, it seemed, was that as far as the lead quartet were concerned, a comfortable, well-judged Rosberg victory ahead of a plucky Ricciardo in turn clear of a solid Räikkönen and a compromised Hamilton. “But actually what decided us to try the three-stop with Lewis,” related Toto Wolff, “was he finally had his brake temperatures under control and it was effectively a free pit stop because we were fourth but with no threat from behind. We decided to give it a try.” This was lap 45. Either Ferrari would leave Räikkönen out and Hamilton would use his scrubbed super-softs to quickly catch Räikkönen on his old softs, hoping to make up the pit-stop loss in the remaining 16 laps (feasible, as tyre grip difference was big). Or Ferrari would respond next lap, try to get Räikkönen in and out still ahead of the Mercedes (also just about feasible). On the Scuderia pit wall there was indecision. Which would it be? Then Vettel, on another set of ultra-softs that he’d just had fitted at his second stop (which had brought him out ahead of Alonso, such had been his very strong pace during his 18-lap second stint) set a stunning 1m 47.3s – around 3.5s faster than the leaders. That decided it: “Box Kimi,” came the call as he was just a few corners away. A scrubbed set of ultra-softs lay in wait for him and were fitted in 2.6s – fast but not quite fast enough. Hamilton’s stop had been 0.4s quicker and he’d followed it up with a very good out-lap. It was enough to allow him to just squeeze past the Ferrari as it exited the pits. Had it not been for the fateful Vettel lap, Ferrari may have chosen to have left Räikkönen out there – and the domino third stop effect wouldn’t have been triggered. Fed with the new information of how much faster fresh super softs or ultras were over used softs, teams’ strategy tools were insisting three-stops was the fastest way of completing the race. “But that meant you conceded track position,” pointed out Christian Horner. “With our [lack of] straightline speed we didn’t want to do that, so were keen to maintain track position at all times.” So when Räikkönen pitted, and with enough of a margin over him to come in a lap later and not lose position, it was an easy choice to bring Ricciardo in too. There was no downside risk. Fitted with super-softs on the 47th lap, Ricciardo launched himself with relish into a fast, short final stint. 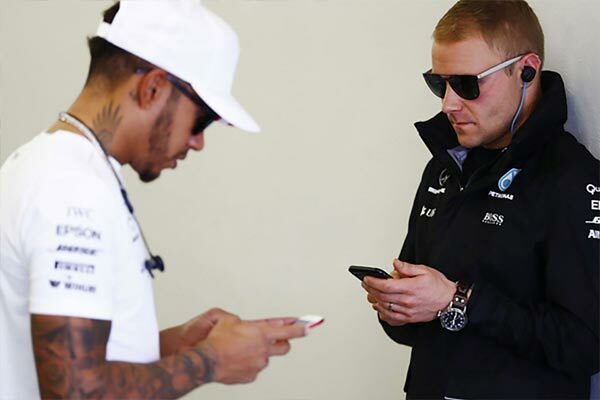 His out-lap was monstrous – a full second faster than Hamilton’s had been, 1.7s faster than Räikkönen’s. Ricciardo’s challenge was to still have some life left in his tyres by the time he caught Rosberg. Meanwhile, in the other race more than half-a-minute behind the leader, Vettel had made fifth place his own, leaving Alonso well behind, the two-stopping McLaren now coming under threat from the three-stopping Verstappen who’d fought his way by Pérez and used his clean-air pace to leapfrog past his two-stopping nemesis Kvyat who was now pressuring the Force India hard. With more power and grip, Verstappen breezed by Alonso on the 54th lap, dummying Fernando into blocking the wrong side up to turn seven and driving through the marbles to make the pass, sixth place now his after a very busy evening. 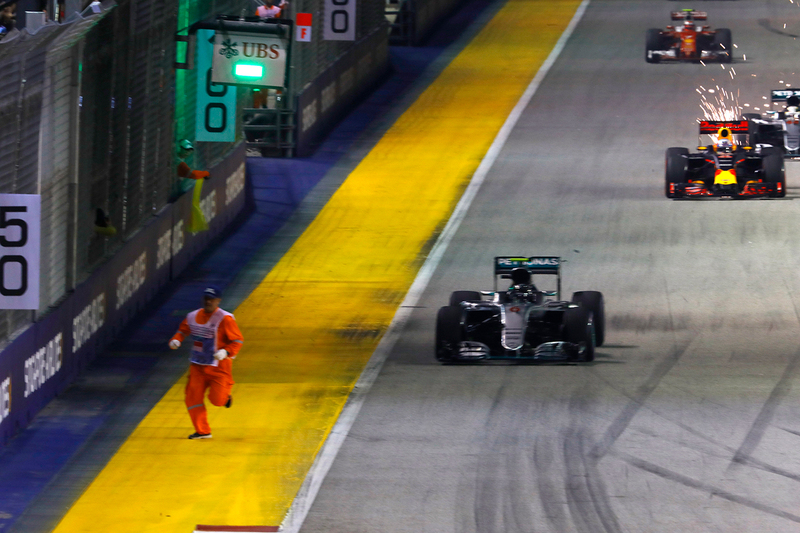 With three laps to go Rosberg and Ricciardo were separated by just 4s as they came to lap Massa and Gutiérrez. It took them both a long time to find a way by the Haas driver who is everyone’s least favourite driver to lap. But he dealt out his favours equally. “In fact, I think we probably gained more from his DRS tow than we lost through the blocking,” said Horner. More crucial than that was the fact that Ricciardo had used up the best of the super-softs. They were now spent and Rosberg had him under control. In his 200th Grand Prix he’d delivered a flawless pressure-drive victory to put himself back into the lead of the world championship.